Click here to access the eBay store site in Nigeria! So while there is no specifically localized version of eBay in the country, such as eBay.ng, you can use the site for shopping in Nigeria without problems. This is how you can get the global eBay website to work for you! Step 2. Besides the search button, you’ll find the “Advanced” link. Step 3. Click on that, and go down to “Location” settings. Step 4. From the country drop-down list, choose “Nigeria”. You can use this same method to do searches for other nearby countries. Choose a region for Europe, Asia, North America (US), etc. Although you cannot narrow down searches to Africa, you can set it to cover a range with a number of miles from your location. 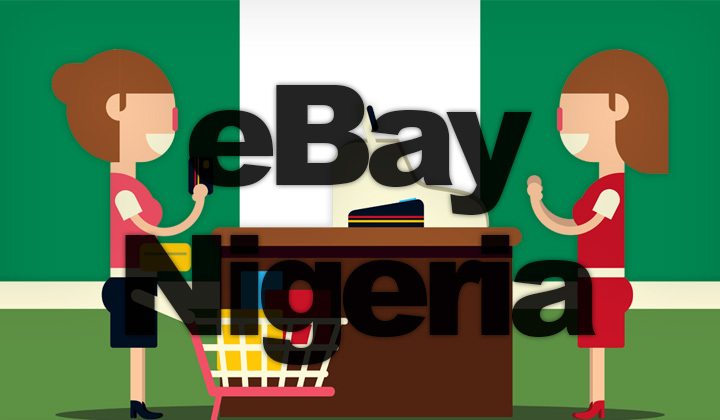 The global eBay.com website automatically detects your location, giving your search results that support shipping to Nigeria. Also it attempts to correctly estimate the cost of delivery, or you can manually select your destination country. There are several big e-commerce sites in the country, namely Wakanow, Jumia, Kaymu, Konga, DealDey and Olx. All of them are focused within local shopping on the internet, which is why eBay has become the biggest name in global demand. However, business to consumer is big in the country, so local alternatives are also well worth considering for cheaper, faster shipping. Questions about eBay and auctioning in Nigeria? Yours comments and suggestions are most welcome here. Your visit is much appreciated, David. Likewise, your voluntary contribution to support the work put on the blog is solely through affiliate links, which are appropriately placed within the posts.